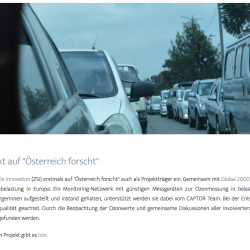 As a Citizen Science project, that actively involved citizens in the scientific process, CAPTOR is now listed in the Austrian Citizen Science Portal: Österreich forscht The portal offers access to many Citizen Science projects in Austria that cover different areas of interest. 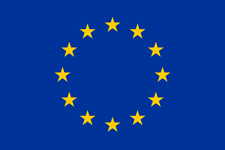 Just check it out and become a Citizen Scientist! 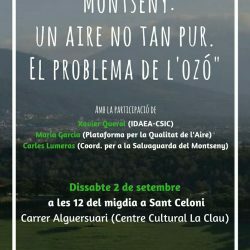 From 28th of August to 15th of September 2017you can visit the exhibition “Tropospheric ozone in Catalonia” in La clau (Alguersuari street) in Sant Celoni (Catalonia, Spain). The exhibition explains the ozone problem and effects, their causes and possible solutions, and the CAPTOR project of citizen science. 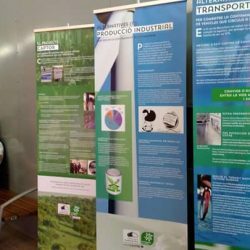 From 4th until 25th August, you can visit the exhibition “Ozone pollution in Catalonia”, in the municipal market of Manlleu (Catalonia, Spain). 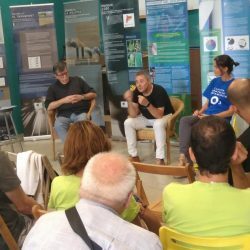 The exhibition explains the ozone problem and effects, their causes and possible solutions, and the CAPTOR project of citizen science.